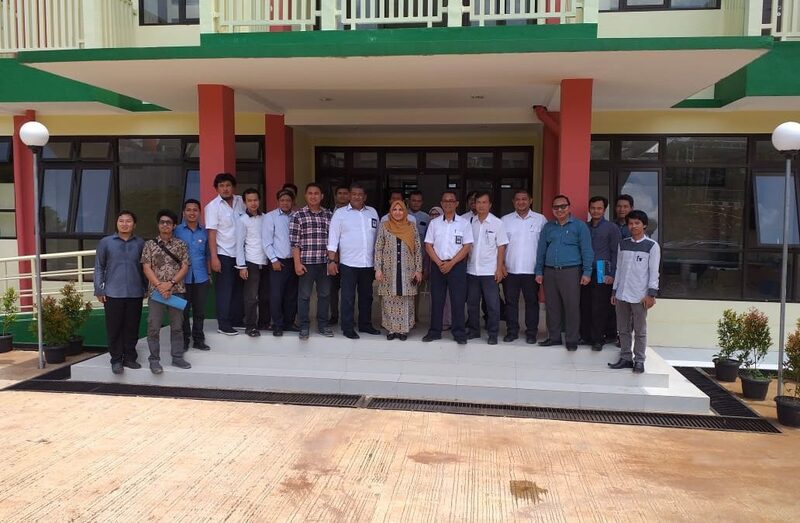 Ciputat, UIN News Online – Rector of UIN Jakarta Amany Lubis receives the key for Rumah Susun Sederhana untuk Mahasiswa (Rusunawa) UIN Jakarta from the Head of of Housing Development Unit, Ministry of Public Works and Public Housing (PUPR) Bismar Staniarto, Thursday (04/11/2019). Rector in her remarks expressed her gratitude to the Ministry of PUPR “We feel very grateful for the attention from the Ministry of PUPR. The presence of Rusunawa will greatly help our students,” she said. 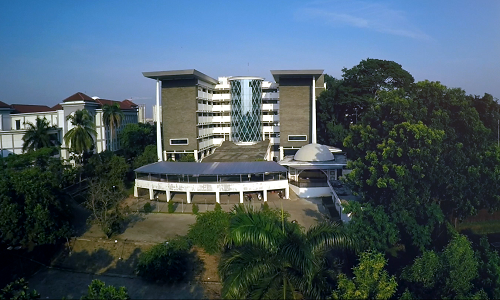 According to Amany, the limited of student housing facility is one of the problems faced by UIN Jakarta. Only a few of the 5,000-6,000 new students each year can live in a dormitory or ma’had. Off-campus housing also places the burden of paying for utility service and commuting to and from campus on the students themselves. “We also have a lot of international students who need a decent dormitory during their studies at UIN Jakarta,” said Amany. On the same occasion, representing the Ministry of PUPR, Bismar hopes that this building can solve student accommodation problems. 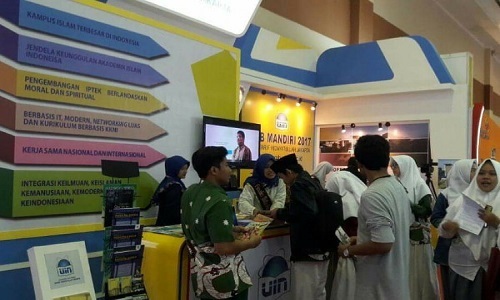 Meanwhile, UIN Jakarta’s Head of General Affairs Division Encep Dimyati to UIN News Online said that Rusunawa UIN Jakarta is ready to be occupied by this year. Encep also explained that the four storey building consist of 50 rooms. Of the 50 rooms, two of them are for disabled students. Each room can accommodate four students.